The 2013 summer crop (paddy, maize, millet, and buckwheat) output was estimated at 7.67 million metric tons (mt), an increase of 12.10 percent compared to last year and 11.90 percent compared to the five-year average or ‘normal’ level1. Out of the total summer crop production of 7.67 million mt, the production of paddy, maize, millet, and buckwheat was estimated at 5.04 million mt, 2.3 million mt, 0.30 million mt, and 0.010 million mt respectively. Compared to the normal level, the largest production gain was observed in maize (13.80 percent) followed by paddy (11.74 percent), buckwheat (7.22 percent), and millet (0.33 percent). Adequate and timely rainfall coupled with better availability of fertilizers is considered the key reason for increased production in 2013. Average rainfall during July-September 2013 was the largest in the last five years and was recorded at 115 percent of the normal level2. A majority (96 percent) of the summer crop output comes from paddy and maize. 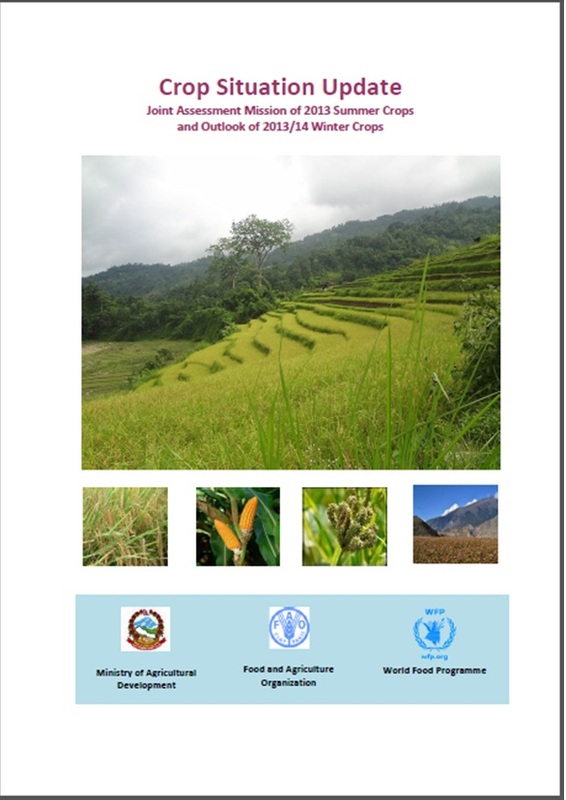 The largest crop output was from the eastern region (2.16 million mt) followed by the central and western regions. Jhapa and Bhojpur are the largest paddy and maize producing districts with their respective production estimated at 365 thousand mt and 124 thousand mt.